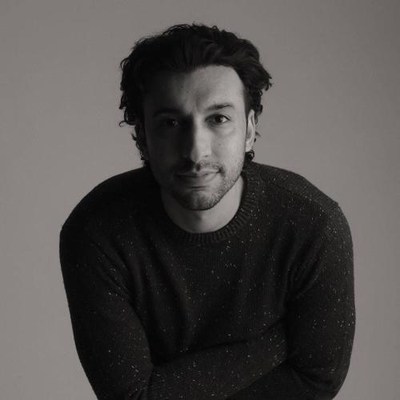 Ala Ghawas is an independent singer, songwriter, musician and producer from Bahrain. With his haunting lyrics and raspy voice backed with his acoustic guitar and piano, he produced a compelling body of work that illustrates the influences of his life in the form of songs. Drawing music influences from poets and songwriting masters like Bob Dylan and Leonard Cohen, as well as rock legends Pink Floyd and his idols Jackson Browne and Jeff Buckley. "Hums", EP was Ghawas’ first serious independent recording project, undertaken while studying in Boston as a Fulbright Scholar in 2007. Hums received positive reviews from music critics in Bahrain and the song Replica was a regular on local radio stations. "Whispers", EP released in December 2008, confirmed Ghawas as one of Bahrain's most important musicians of his generation and received critically acclaimed reviews. "Screams", EP released in October 2009, continued raising the intensity of the sound and subject of his music and completed the trilogy of EPs that he had been working on for three years. He then released his debut LP, "Armor", featuring ten new songs written and produced by Ghawas. The LP was the product of Ghawas' partnership with Bahrain's most popular band, "Likwid". The album was released in November 2013 and has been receiving incredible positive reviews from the media of the entire region ever since.